Lot:3030 1856-S Three-Dollar Gold Piece. AU-50 (PCGS). 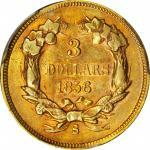 1856-S Three-Dollar Gold Piece. AU-50 (PCGS).Vividly toned deep orange and pinkish-apricot surfaces also possess ample evidence of a softly frosted finish from the dies. Boldly defined overall, as befits the assigned grade. 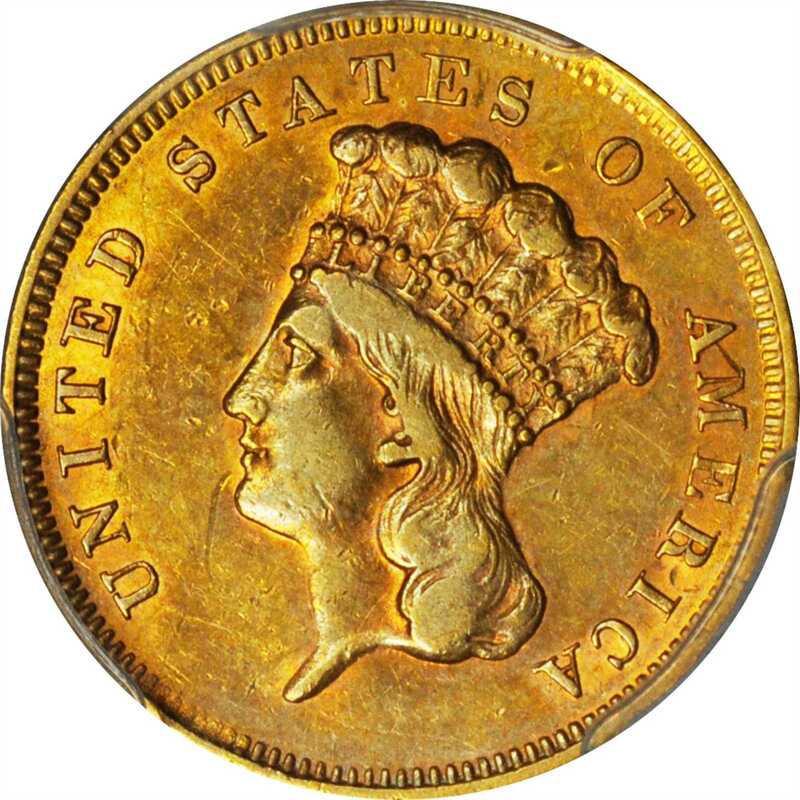 Despite its status as the most frequently encountered San Francisco Mint three-dollar gold piece, the 1856-S is still a scarce issue when viewed in the wider context of U.S. numismatics. Only 34,500 coins were produced, most of which have long since been lost to commercial use.